Home ROLLAND-GOSSELIN M.-D. O.P. 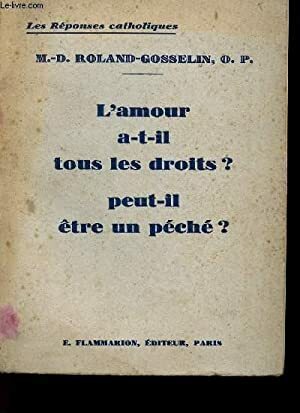 L'AMOUR A-T-IL TOUS LES DROITS ? PEUT-IL ETRE UN PECHE ? 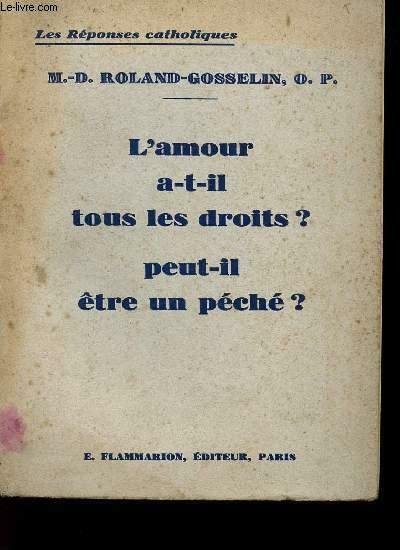 L'AMOUR A-T-IL TOUS LES DROITS ? PEUT-IL ETRE UN PECHE ?